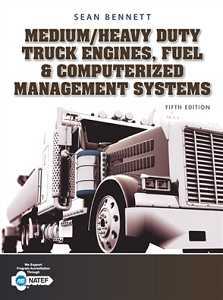 Ideal for students, entry-level technicians, and experienced professionals, this fully updated Fifth Edition of MEDIUM/HEAVY DUTY TRUCK ENGINES, FUEL &; COMPUTERIZED MANAGEMENT SYSTEMS is the most comprehensive guide to highway diesel engines and their management systems available today. This user-friendly, full color resource covers the full range of commercial vehicle engines, from light- to heavy-duty, as well as the most current management electronics used in the industry. The Fifth Edition features expanded coverage of natural gas (NG) fuel systems and controls (LPG and CNG), after treatment devices, and the most recent revisions to J1939 and chassis CAN bus electronics. 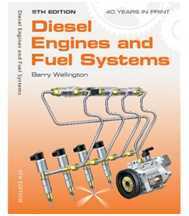 Set apart from any other book on the market by its emphasis on the modern multiplexed chassis, this practical, wide-ranging guide helps students prepare for career success in the dynamic field of diesel engine service. Part I: DIESEL ENGINE FUNDAMENTALS. 5. History of the Heat Engine. 7. Diesel Engine Powertrain Assemblies. 8. Diesel Engine Feedback Assembly. 10. Diesel Engine Lubrication Systems. 15. Diesel Engine Removal, Disassembly, Cleaning, Inspection, and Reassembly. 16. Diesel Engine Run-in and Performance Testing. Part II: DIESEL FUEL SYSTEMS. 17. 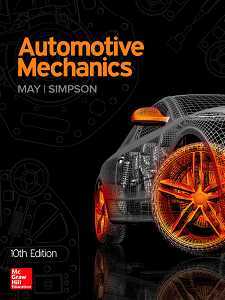 Chemistry and Combustion in Diesel Engines. 20. 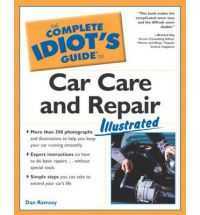 Fuel Injection Basics and Governor Principles. 22. Port Helix Metering Fuel Systems. 23. Inlet Metering Rotary Distributor Pumps. 24. Sleeve Metering Rotary Distributor Pumps. 25. Single Actuator EUI Fuel Systems. 26. Twin Actuator EUI Fuel Systems. 28. Electronic Unit Pump (EUP) Fuel Systems. 30. Common Rail Fuel Systems. Part III: ENGINE MANAGEMENT, ALTERNATE POWER, AND EMISSIONS. 32. Review of Electrical and Electronics Fundamentals. 33. Networking and Communications in the Trucking Industry. 36. Electrical Wiring, Connector, and Terminal Repair. 38. Natural Gas (CNG and LPG), Biodiesel, and Alternate Fuels. 39. Electric and Hydraulic Hybrid Drives. 41. Caterpillar ADEM Management Systems. 43. Detroit Diesel DDEC - Management Systems. 46. Volvo and Mack Management Systems.